In this shocking, hard-hitting expose in the tradition of Naomi Klein and Barbara Ehrenreich, the editorial director of Feministing.com, reveals how inadequate, inappropriate, and even dangerous treatment threatens women's lives and well-being. Editor of the award-winning site Feministing.com, Maya Dusenbery brings together scientific and sociological research, interviews with experts within and outside the medical establishment, and personal stories from women across the country to provide the first comprehensive, accessible look at how sexism in medicine harms women today. 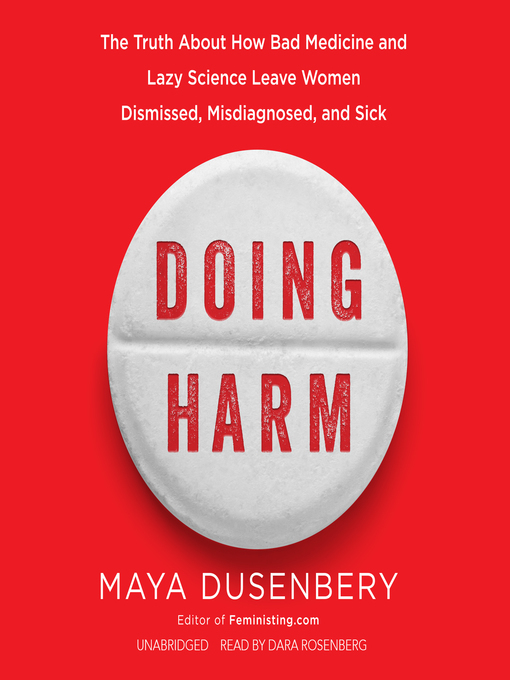 Dusenbery reveals how conditions that disproportionately affect women, such as autoimmune diseases, chronic pain conditions, and Alzheimer's disease, are neglected and woefully under-researched. "Contested" diseases, such as fibromyalgia and chronic fatigue syndrome, that are 70 to 80 percent female-dominated are so poorly understood that they have not yet been fully accepted as "real" conditions by the whole of the profession. Meanwhile, despite a wealth of evidence showing the impact of biological difference between the sexes in everything from drug responses to symptoms to risk factors for various diseases-even the symptoms of a heart attack-medicine continues to take a one-size-fits-all approach: that of a 155-pound white man. In addition, women are negatively impacted by the biases and stereotypes that dismiss them as "chronic complainers," leading to long delays-often years long-to get diagnosed. The consequences are catastrophic. Offering a clear-eyed explanation of the root causes of this insidious and entrenched bias and laying out its effects, Doing Harm will change the way we look at health care for women.